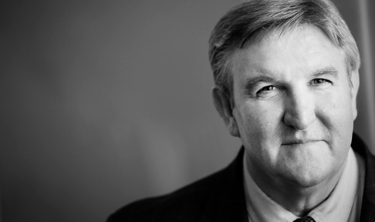 Kevin Sherry is a transactional real estate attorney and founding partner of Sherry Meyerhoff Hanson & Crance LLP. Kevin has broad experience in the representation of national real estate investment trusts (REITs), lenders, residential and commercial developers in a vast array of real property related transactions. He has extensively represented publicly traded REITs in the acquisition, financing, leasing, disposition and development of medical office buildings, assisted living facilities and skilled nursing facilities. Kevin also represents a number of entrepreneurial clients in connection with a variety of real estate and general corporate matters, including the structuring and formation of joint ventures and other investment vehicles for the development, ownership and operation of commercial real estate and other business enterprises. Kevin formerly practiced in the Newport Beach office of O’Melveny & Myers LLP. Before becoming a lawyer, he was active in several real estate developments and was a licensed real estate broker. Ongoing representation of publicly traded REIT in connection with the acquisition, leasing and development of healthcare facilities across the nation. Real estate counsel to Nationwide Health Properties, Inc. in its $7.4 billion acquisition by Ventas, Inc., a transaction that created one of the largest publicly traded REITs. Lead real estate counsel to Sabra Health Care REIT, Inc. in the restructuring of Sun Healthcare Group, Inc., into two separate public companies, Sabra Health Care REIT, Inc. and Sun Healthcare Group, Inc., as well as related master leasing and financing transactions. Represented institutional investor in connection with the acquisition of a hospital and the $100 million acquisition of numerous healthcare facilities. Real estate counsel to institutional client for the $350 million acquisition of a medical office building portfolio, together with related joint venture and development projects. Represented publicly traded entities in connection with the acquisition and disposition of mortgage loans.